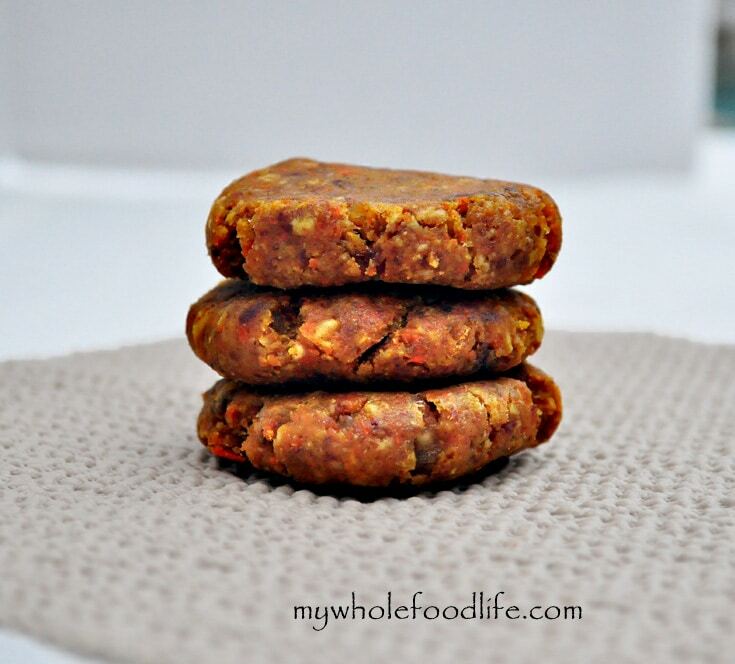 Carrot Cake Larabar Bites. I know that you all love larabars. I have had several requests for the carrot cake bar recipe, so I thought I would create you these carrot cake larabar bites. The flavor of these carrot cake larabar bites of reminded me of my Coconut Cream Larabars and also my No Bake Pumpkin Pie Cookies. I checked the ingredient list on Larabar’s website and created my recipe based on those ingredients. I am hoping it tastes similar to the store bought version. I am not a huge carrot cake fan, but my husband is. My baby daughter LOVED this recipe. That was a surprise to me. Very kid friendly. 🙂 They are also vegan, gluten free and grain free. Looking for more larabar recipes? In the food processor , mix the carrots, walnuts and almonds and coconut. Then add in the cinnamon, salt, dates, pineapple and coconut oil. If the mixture seems slightly dry, add in a bit of water. I didn’t have to add any in mine. Once a dough forms, roll into balls and place in the fridge to firm up. I got about 12 balls out of my batch and I ended up flattening them into cookies. Enjoy!